Over the years, budget retailer Aldi have managed to solidfy themselves as a brand which offer winning beauty products at super-affordable prices. Recently, they’ve produced some remarkable dupes of products we all know and love – including Elizabeth Arden’s Eight Hour Cream – which have gone down a storm with customers. And now, Aldi have taken on the world of masks and tonics, with a range of brand new skincare products. The shop has recently launched their Lacura Healthy Glow Tonic, which promises to ‘treat your face before bed time’. To be used after your normal cleansing routine, Aldi claims that the product, which contains 5% Glycolic acid, will ‘remove impurities and brighten your face’. It also promises to improve the texture of your skin. Eager fans have shared their excitement to try out the product, with one writing on social media, ‘oh wow i really can’t wait to try the healthy glow tonic!’, while another said, ‘Bought these today, can’t wait to try them’. It’s on sale for just £3.99, meaning adding this to your skincare routine won’t break the bank. But some fans have noticed that the tonic also bears some striking similarities to Pixi Beauty’s Glow Tonic – which actually sells for £18 – over double the price of Aldi’s offering. Both items have similar ingredients, including Glycolic Acid and aloe vera. And if the Aldi tonic works as well as Pixi’s – we’re sold! The tonic isn’t the only new product to be added to Aldi’s skincare range either. 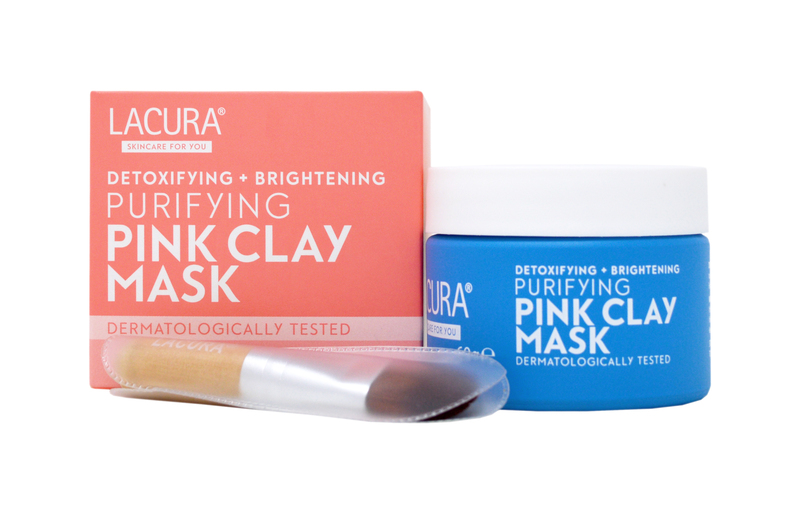 The retailer has also launched a purifying Pink Clay Mask, available for just £5.99. Aldi claim that the product, which you apply with a brush, will rid your skin of impurities to reveal a radiant, and glowing complexion. Some beauty fans have noticed that the mask also looks super-similar to a product already on sale from Aussie beauty brand, Sand & Sky, their Brilliant Skin Purifying Pink Clay Mask. However, the Aldi product is a fraction of the cost of its higher-end alternative, which sells for £39 on most websites. Both the tonic and the mask are also cruelty-free – winning huge brownie points in our books. At the moment, sadly you can’t purchase the products online, as they’ve proven so popular that they entirely sold out in the pre-order stage. But, you may still be able to find some at your local Aldi store – so get shopping, as these definitely won’t be around for long!